Bevan Evemy Solicitors has its head office within easy travelling distance from Thornbury; only 20 mins. by car to Chipping Sodbury. You can also speak to us on Skype or by phone. 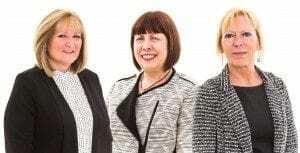 Our team of Solicitors help clients like you with family law, employment law, legal disputes and private criminal work / road traffic offences. Do you have an office in Thornbury? The head office of Bevan Evemy Solicitors is actually in Yate, but it’s not far from Thornbury by car and we find many clients are comfortable with communicating via Skype, email and phone. If you know Yate, we’re located in the Northavon Business Centre, which is in Dean Road on the Great Western Business Park. After 4 years, 3 previous solicitors and a lot of money spent, I was giving up hope of ever getting divorced. Thankfully, Beven Evemy Solicitors was then recommended to me by a friend. On my first meeting with them, they made me a promise, that they would succeed in getting my divorce concluded, and this time I would not be allowed to give up! After much patience, perseverance, and determination on their behalf, I am finally divorced. Beven Evemy has been more than a solicitor, they have been caring and understanding and have provided a service, that no other company has given me. Beven Evemy fees are the fairest rates I have been charged by a solicitor. I cannot thank them enough for their professional and fair service and recommend the company. Put your postcode into the box below the map to find out suggested routes from Thornbury and how long it will take. You can also use Google Streetview to take a look at the streets around our office – simply pick up the orange man on the left of the map and dropping him near our office.